PRAYER PROMPT ••• Confession time. If you come to me with a problem, my wheels start going and I want to find a solution. If you come to me to vent about something, I feel like it’s my issue to handle. But God’s been speaking to my heart about this in recent months. I’m also thick-headed and stubborn. That’s a different topic though. It’s time to stop and listen. The anger part – I’m pretty good on. My family may disagree, but it takes quite a bit to push me to that point. 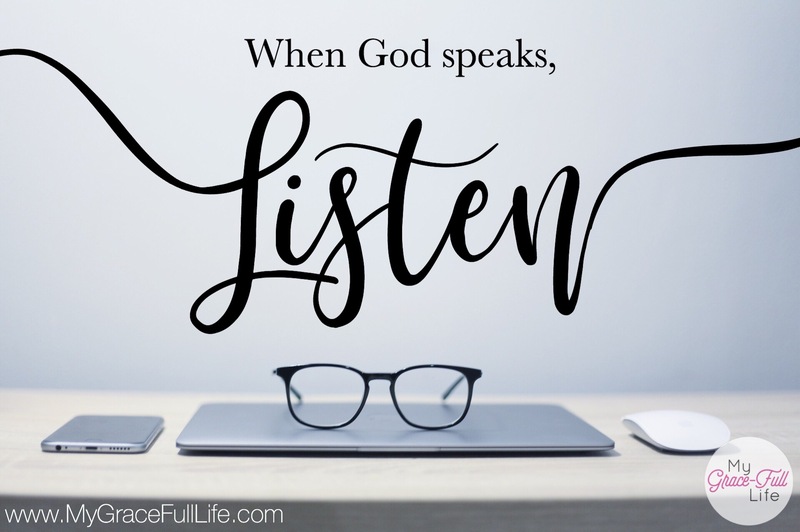 God’s spoke loudly to me in the last week to stop listening to respond and work on listening to hear. While I’m a definite work-in-progress, it stands to reason if I will listen to hear, then slowness to speak will be a natural segue. If this is you too, please raise your hand. Most of us struggle to listen. If you’ve ever taken a Franklin Covey 7 Habits course, you know there are five types of listening: Empathetic, Attentive, Selective, Pretend, Ignoring. The goal is to be empathetic. The other four are more self-oriented. So if we (eh-hem, I) can listen empathetically to hear without trying to find ways to fix, we can obey God and be slow to speak. Isn’t God so good to show us exactly what we need when we need it? And instead of feeling discouraged, I feel so encouraged! Because I know He’s on my side and looking out for my best interest! Today, as you pray, if you also struggle with listening, speaking, or even anger, pray for the Holy Spirit to slow you down. Ask Him to remind you in His gentle way of when it’s time to listen and when it’s time to speak. And if you struggle with a desire to fix things too, ask Him to remind you when you’re tempted to jump in with your personal toolbox.